Pernod Ricard, Black Friars Distillery, Plymouth, Devon, England, UK. Plymouth Gin and Pernod Ricard. The distillery is on the site of an old monastery (hence the name Black Friars Distillery) dating back to 1431 and, besides being one of the oldest buildings in Plymouth, is a national monument. Whilst it is quite possible the monks carried out their own distilling, maybe even producing a juniper concoction as a health remedy, the friary was closed in 1536 under the Reformation and Dissolution of the Monasteries by Henry VIII. The buildings were put to other usage, including a debtor’s prison and a refuge for Huguenots fleeing from France. 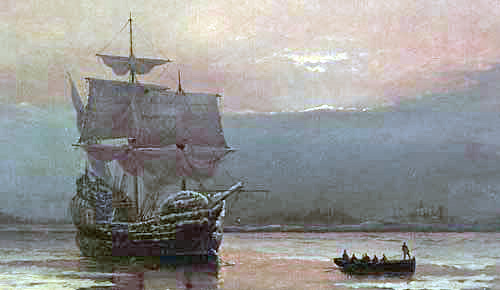 The Pilgrim Fathers stayed here when their ship, The Mayflower, had to stop for repairs. This makes Plymouth the last place they set foot on English soil, before embarking for the New World in 1620, and founding the initial settlements that would become the North America of today. With this august history it is no wonder The Friary Monk and The Mayflower have both become notable trademarks for Plymouth Gin. Modern day distilling started on this site in 1697, under the firm of Fox & Williamson, making it the oldest working distillery in England today. In 1793 they started producing Plymouth Navy Strength Gin, the same year a certain young Thomas Coates started working at the distillery. It wasn’t long before the company became known as Coates & Co. and remained so until 2004 when the Swedish company V&S (of Absolut Vodka fame) bought it. 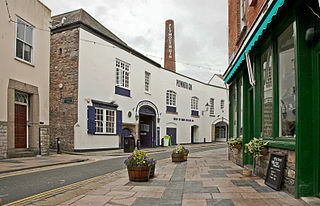 Pernod Ricard in turn purchased V&S in 2008, making them the current owners of the distillery and the Plymouth Gin brand. Tours and tastings (book in advance) are held at the distillery’s visitor’s center and there is very good bistro available onsite, which opened in 2006. Many seaports during the 1700’s and 1800’s had their own distilleries, making spirits for the Navy and other sailors undertaking voyages. Besides London, Plymouth is the only one of these seaport distilleries still surviving today, and has been granted Protected Designation of Origin status under both English (1880) and European (2008) law. In essence this means only Gin made within the city walls of Plymouth may be called Plymouth style Gin. Plymouth has been the home of the British Royal Navy for centuries with the distillery providing spirits for their needs e.g. 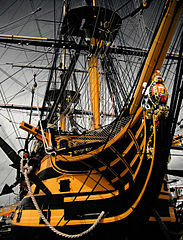 part of a sailors pay included a pint of grog (half rum and half water) each day aboard ship. For a long time both crew and officers received the same ration of grog but this changed, as officers wished to set themselves apart, and so Gin was supplied as the ration for officers. At its peak, in the middle of the 1800’s, Plymouth was supplying the British Royal Navy with 1,000 barrels of Navy Strength Gin every year. 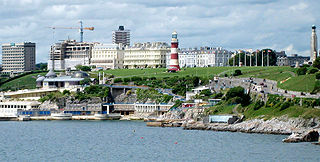 Plymouth experienced a steady decline in sales from the 1930’s to the 1970’s, mainly due to prohibition in the USA and the British Royal Navy cancelling their contract with Plymouth Gin from WWII. Fortunately sales have slowly increased since this time, and today Plymouth sells around half a million bottles of gin a year, in numerous countries across the globe. Notable people who are said to have preferred Plymouth Gin include: Winston Churchill, Ian Fleming, Alfred Hitchcock and Franklin D. Roosevelt. There is no doubt as to the enduring popularity of Plymouth Gin, even with the increased competition of more Gin brands available today than ever before. We say, “Long live Plymouth Gin”. The original Plymouth Gin was this Navy Strength (57% ABV) version. A milder version at 41.2% ABV was introduced in the 1970’s, with the aim of helping to rebuild sales by targeting the on trade and off trade markets. Interestingly, this milder version is now referred to as the “original” Plymouth Gin. The British Royal Navy renewed their contract for Plymouth Navy Strength Gin shortly after the milder version had been launched. Unfortunately, the contract was for a very small amount i.e. only one bottle for each vessel, presented in a case along with 2 engraved glasses and a special pennant, to fly, when requesting the pleasure of a third party aboard for drinks. They have continued to make this Navy Strength version, on as “as required” basis up until the 1990’s. In 1993 it was Plymouth Gin’s 200th Anniversary and Desmond Payne (the Master Distiller at the time) decided to produce this Navy Strength (57% ABV) version as part of their celebrations. This version proved to be quite a success with consumers and so Plymouth decided to start producing it as a regular part of their portfolio. Slowly but surely it has crept into the marketplace country by country, finally becoming available in the USA in the fall of 2012. The base spirit is double distilled from pure wheat grain, which is sourced (currently from France) with a specific buttery mouthfeel requirement. We understand (although not confirmed) each botanical is individually distilled and then blended together. This blending is carried out with great focus on how each ingredient combines with the others in customized ratio’s, playing an integral part in the overall character of the Gin. The third and final batch distillation is carried out in a traditional alembic copper pot still (the very same one that has been used since 1855), using naturally filtered Dartmoor spring water. Master Distiller Sean Harrison oversees production, having taken over from the previous Master Distiller, Desmond Payne who left in 1995 to join Beefeater. Since 1998 bottles of Plymouth Navy Strength Gin have been redesigned three times. The redesign in 1998 had a picture of a monk, seen looking through the bottle on the reverse of the rear label. It was suggested when the monk’s feet became dry it was time to get a new bottle. The packaging was revised for a second time in mid 2006 to an art deco style and sported a picture of the Mayflower. Once again it could be said it was time to get a new bottle when the ship no longer sailed on Gin! In a phased introduction across many countries, spanning late 2011 to 2013, the Gin’s presentation has changed for the third time. This redesign has also coincided with a price increase – in the USA this is around $5 per bottle, across all three of their products. This current design was produced by the UK agency Design Bridge with an antique style, the rounded bottle shape is made of flint glass, giving it a light green “sea glass” tint. The words “Est. 1793” & “Black Friars Distillery” are embossed on the front of the bottle and a smiling Black Friar icon is embossed on the reverse, at bottom right, and is best seen through the front. For those who can remember, at last we can again use the adage “when his feet are dry it’s time to buy.” The copper enriched oval shaped label marks a return to similar earlier designs and sports an image of the Mayflower in the center. Also, for those who can remember, once more we can use the adage “when the Mayflower no longer sails on Gin, it’s time to buy again.” The copper cap is used to represent the copper pot still used by the distillery. All these design elements represent the artisanal aspects of the Gin and it’s long heritage. Plymouth Navy Strength Gin is Vegan Friendly. Plymouth Gin (and London Dry Gin – as it also technically meets the criteria for this style too). $$$$. Can be a little difficult to find available in the USA. Try online at: Hi-Time Wine Cellars, K&L Wines, Beltramo’s, The Cask Store, Schneider’s of Capitol Hill or Market View Liquor. The 2012 price increase, the same as any price increase, has not been welcome by consumers. However this Gin, in our opinion, has been underpriced for a long time in the USA and we have been blessed to be able to enjoy this quality spirit at a low price. Often referred to as the “Champagne” or “Single Malt” of Gins, this Gin is revered by aficionados around the world and when compared against other premium and super-premium Gins it still stands heads and shoulders above the majority. Looking at it in this light it should probably cost even more, whilst many may disagree we’re still happy to enjoy it at this new price point! Uses 7 botanicals (referred to by some as the “Magnificent Seven”) including: angelica root (Germany & the Netherlands), cardamom pods (Sri Lanka & other far East countries), coriander seeds (Russia, Eastern Europe and Morocco), juniper berries (Italy and former Yugoslavia), lemon peel (Spain), sweet orange peel (Spain) and orris root (Italy). Named after where it is made, the City of Plymouth (found in the South West of England), it is not only the brand name of the Gin but the name of the Gin style too. The term “Navy Strength” originates from the requirements of the British Royal Navy who required the Gin to be provided at 57% ABV. The main reason is that should any of this liquid contaminate the ship’s gunpowder, the powder would still ignite, and thus they could still fire their cannons regardless. This also meant the Royal Navy Supply Officers (known as “Pussers”) could readily check, what they were being supplied with from the distillery met their standards, with a quick gunpowder test. On the nose are fresh juniper, spice (cardamom & coriander) and fruity citrus (orange & lemon). On the palate this smooth and slightly sweet full-bodied spirit has juniper, peppery spice (cardamom & coriander), and fruity citrus (orange) with grass and earthy wood notes (angelica). The close has a long aromatic, juniper and hot (alcohol) taste with a slightly tangy and bitter dry (lemon) finish. This is a nicely balanced Gin with more citrus in the flavor profile than the milder Plymouth Gin version. Compared with the milder Plymouth Gin this Navy Strength version has more nose and flavor. We think this might prove a little too hot for people to drink neat, add ice to water it down and you come closer to that of the milder version. However, for many this is the ultimate Gin, being even more versatile in mixed drinks than it’s sibling. In a Gin and Tonic the warmth is still noticeable (maybe increase the amount of tonic used) and whilst there is more of a citrus note, adding more citrus (e.g. a garnish of lime of lemon) reduces the heat further. If you like your Martini with a good kick and a punch, this is the one for you. It may seem too hot for many and, if this is the case, making a wetter version and “shaking” to dilute it further (rather than “stirring”) may be the better approach. Despite the added warmth from this Gin, both of these classic drinks are still very good options especially for ardent Gin lovers. When tried with a Pink Gin or, and to a lesser extent, a Gimlet be prepared for the strength to hit you hard, drinking only 1 or 2 of these is probably a safe bet in preventing regrets later! Mere mortals like us suggest using this in cocktails that might otherwise overpower it e.g. a Red Snapper (Bloody Mary with the Vodka replaced by Gin). There is no denying how good this Gin is. However, if we had a daily preference it would be for the milder version. The heat of the Navy Strength’s 57% ABV creeps up on you and concludes by numbing your taste buds, while the milder 41.2% ABV prevents palate fatigue and tastes the same at the beginning of a drink as it does at the end. Best keep this Navy Strength option for overpowering cocktails, where you still want to find Gin coming through e.g. Aviation, Negroni etc. If you find the mild Plymouth Gin a little boring then try this one instead, but remember to hold on to your hat and shout yahoo!